Celebrate Mother's Day with 25% Off! Use the code IHEARTMOM. 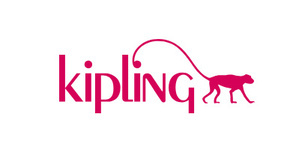 Kipling offers a colorful array of designer handbags, backpacks, luggage and accessories made for the gal on-the-go. Their products are lightweight, lasting and above all, functional. They create fun, colorful designs that are not a slave to trends because, at Kipling, they feel it is more important to have personal style than perfect style.